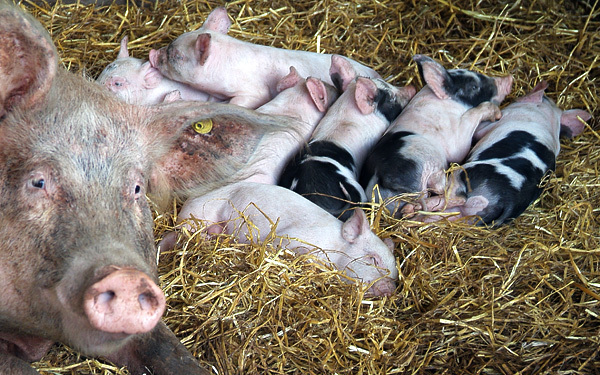 Parsonage Farm, Salehurst, has been farmed by the Hoad family since the 1880's and is now being managed by the 6th generation. 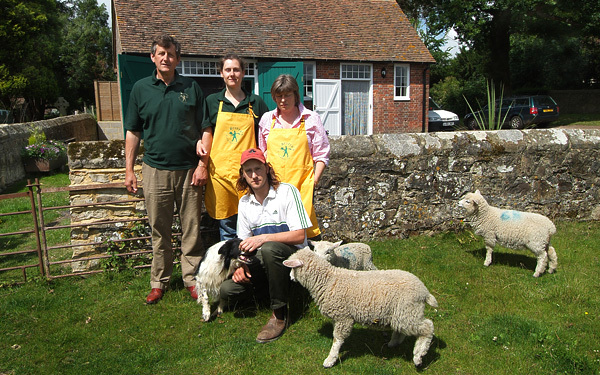 It is a typical Wealden farm and is run on traditional lines, with a mix of livestock and crops. It has a pedigree herd of Sussex Cattle and a flock of sheep. Besides the pasture there is an arable enterprise growing wheat, barley & beans and recently maize has been added to the rotation. Hops are still grown, a crop that has been cultivated by the family since taking the farm. 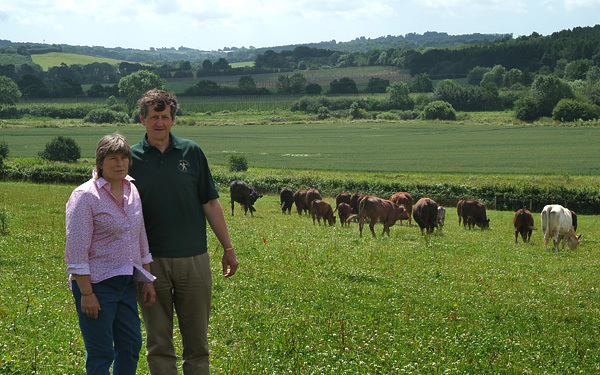 The family philosophy has been to produce as much as possible from our own resources and we find that a mixed farming enterprise can deliver that objective on our mix of soils, which range from heavy clays to sandy outcrops on the higher ground, gravel and silty loams in the valley bottom. We also, being locals ourselves, support and use the local economy as much as possible. 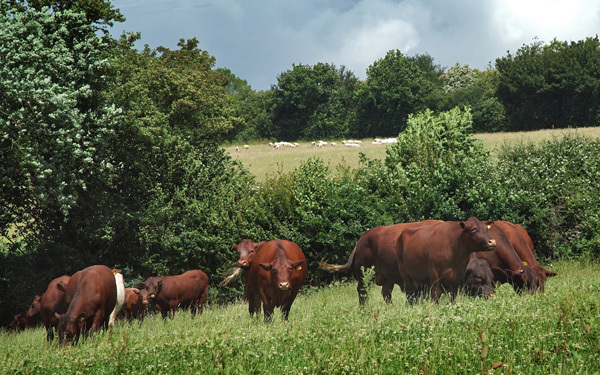 Our cattle are the native breed for this area, the Sussex, which have developed over the years from draught oxen and are well adapted to thrive on a low quality diet or, as we say, on fresh air. Their other characteristic is a quiet temperament, which makes them easy to handle and work with. Our sheep are Romneys, which are the local breed, and we use Texel and Lleyn Rams on the ewes to produce a well meated lamb for the shop. The arable enterprise comprises a variety of crops. Wheat, which is grown to sell, Barley & Beans, some of which is fed to the cattle, the rest sold. We have recently added maize to our rotation and this is harvested for the grain, which is sold for animal feed. Straw is used in the cattle yards, to feed and bed the animals, the resultant manure returned to the fields as fertilizer. Our other crop is Hops. These are what we call a 'Cash Crop' and are grown for the brewing industry. They are expensive and risky to grow, but can give good returns. Most of our production goes to the English brewers to make traditional ales but some are exported. We have been supplying Harveys of Lewes for many years and it is pleasing to know that our hops are used in the local brew. Their beer is excellent too! Cheers!